Last Tuesday, just hours after Google stocked the Glass store with the four choices of prescription frames, I ordered the "Split" style in Charcoal to match my V2 Glass I got from the swap out. Three working days (six real days) and $245.25 later ($225 + tax) I received my new frames with free shipping via UPS. The process to remove Glass (the computer) from the default band was simple with the included Torx screwdriver. The screw is attached to Glass and will not fall out. Notice that the new frames have one temple arm shorter than the other so they cannot be used without Glass attached. While simple, I doubt you'd want to switch frames to band and back again very often. 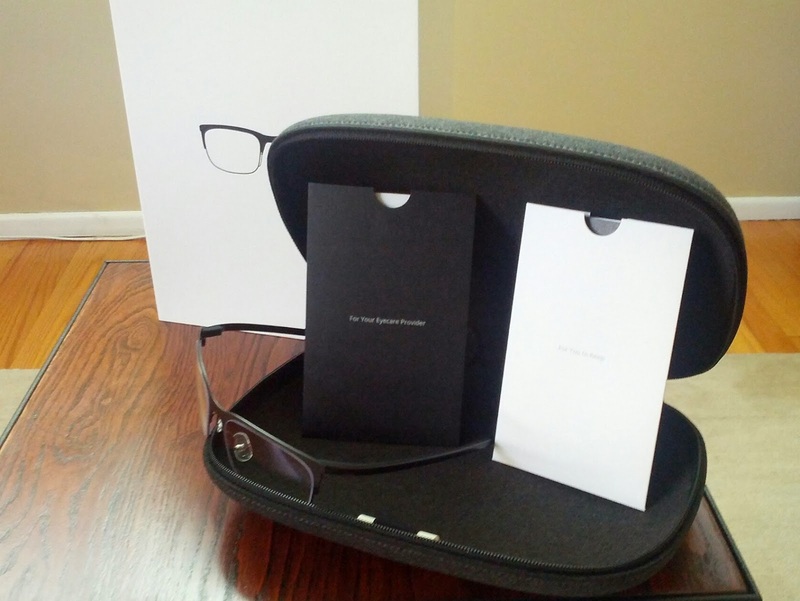 I think that Google does a great job with packaging of Glass. The case is roomy and hold the specialty screwdriver in case you need it. There are instructions for YOU and your Eye Care Provider (ECP). 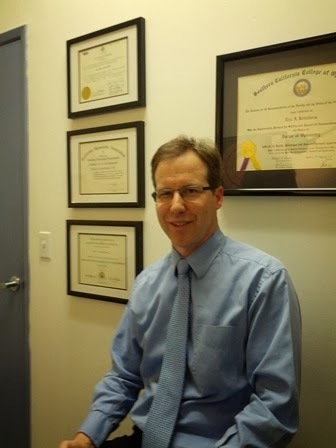 Today I had an appointment with Dr. Eric A. Bettleheim, O.D. at his Arrow Vision Center practice to get my eyes checked out and get a prescription for Glass. As a Glass "preferred" ECP he and his staff have been educated about Glass. My prescription checked out and except for not being able to see clearly without glasses, my eyes are in perfect health! The good doctor answered my questions and expressed his professional option that using a device on a single eye only poses no known risks. The parallel he gave to prove this was the fact that people who are farsighted and nearsighted have been prescribed monovision contacts with one eye for close vision and the other for distance vision. Conclusion: Glass is safe for your eyes! After the checkup, the doctor's assistant removed my Glass from the band and fitted it into the new frame. I helped a bit since I had done it once before. It is a bit tricky to get it on and off of the frames. A best practice to to cover the prism with a cloth to prevent any damage. She measured and checked the fit and marked on the plain lenses where the progressive lens would change from far to near. After some insurance confusion, my prescription was ordered and my Glass and band were back together. Now it is just waiting for the frames and lenses to get back from the VSP lab and I can switch my Glass to the frames for good. 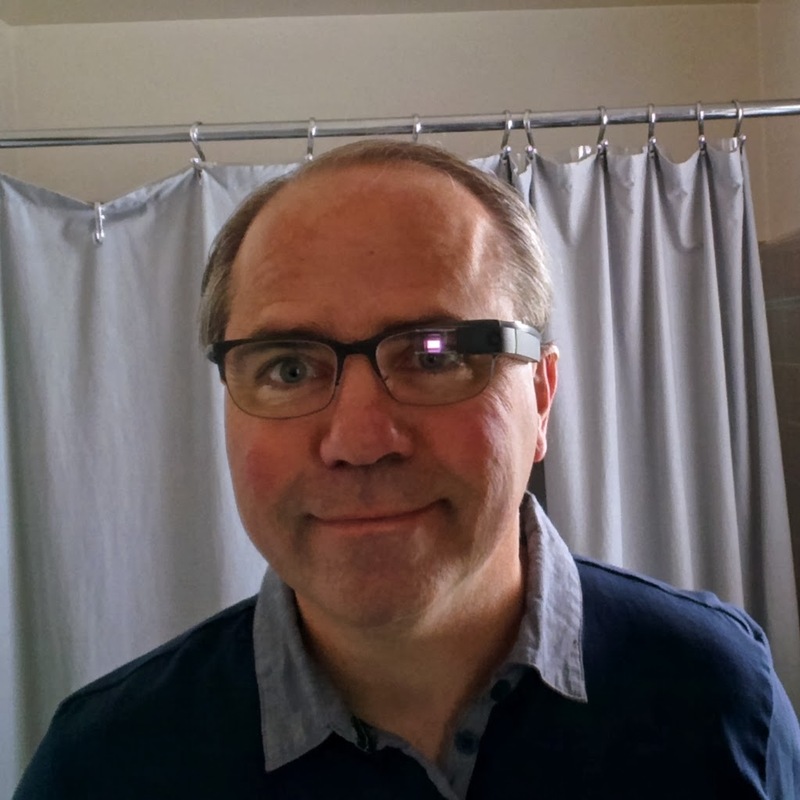 For me, I believe this will be a key to allowing me to wear Glass more often and enjoying the many benefits it provides. Biking will be better without two frames on my head (and a helmet!) and I will try wearing them when I work in the garden.